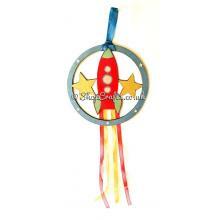 Hanging mini dream catcher - rocket version. 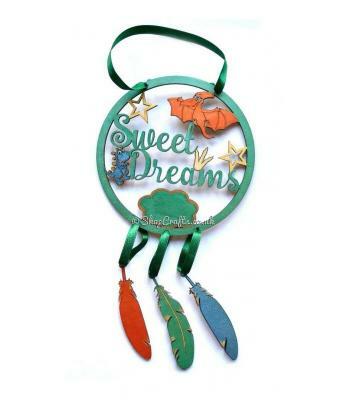 These smaller dream catchers are perfect for anyone who loves the range of characters and dream catchers available from LCS but who are short on available wall space. At only 14.5cm they’re a lot smaller than the regular dream catchers but they lack nothing of the detail and colour, making them a fantastic addition to any nursery, bedroom or play space! 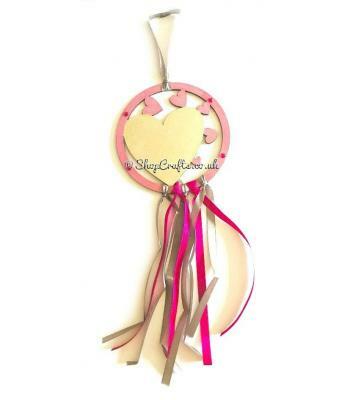 Each one is hand painted, so if you would prefer a different colour scheme to the one pictured simply let me know when ordering (the reverse is left in the natural wood finish). 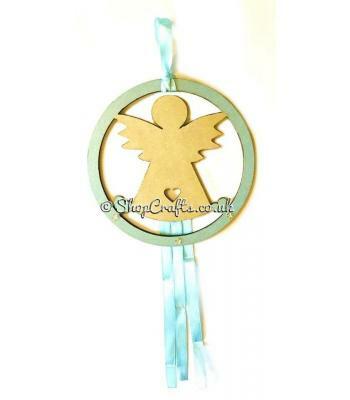 They are finished with ribbons in corresponding colours to those used on the painted part and have small gem embellishments added for a subtle bit of extra sparkle. 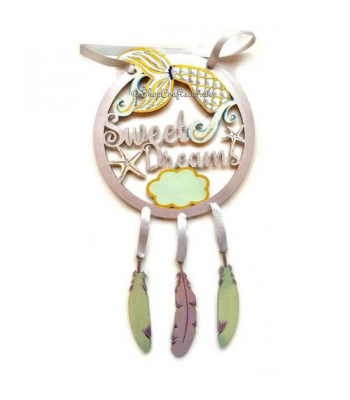 These small dream catchers are available in all of the characters and shapes available on the LCS site; so if you need a different shape please see my other listings; or feel free to drop me a message to discuss! 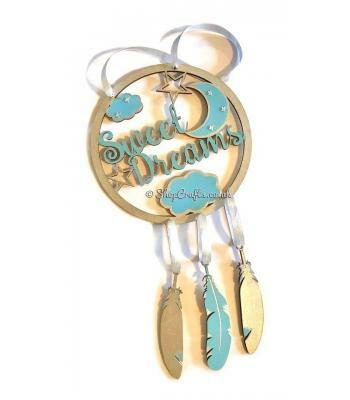 'Sweet Dreams' Dream catcher - Moon and stars theme. 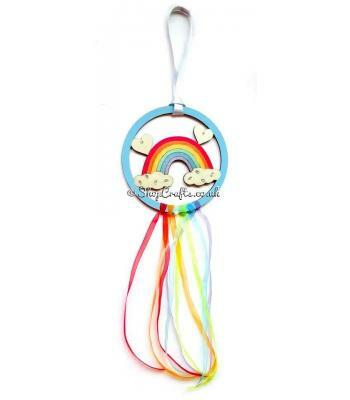 Hanging mini dream catcher - rainbow version. 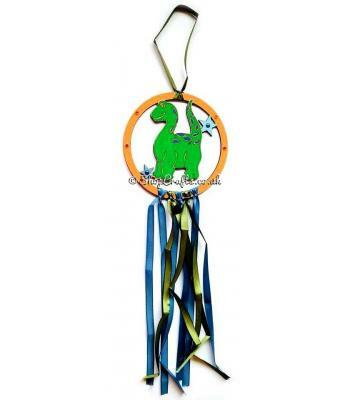 Hanging mini dream catcher - dinosaur version. 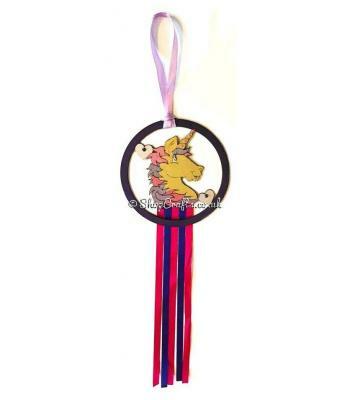 Hanging mini dream catcher - unicorn version. 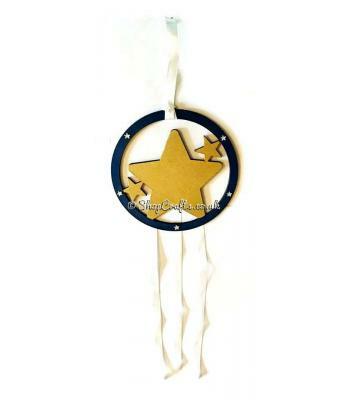 Hanging mini dream catcher - star version. 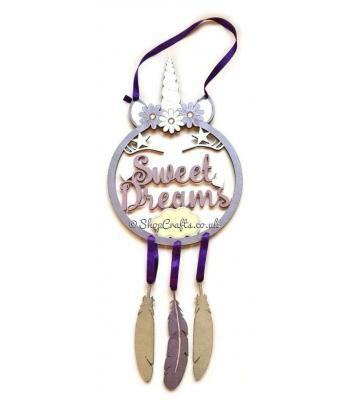 Hanging mini dream catcher - angel version. 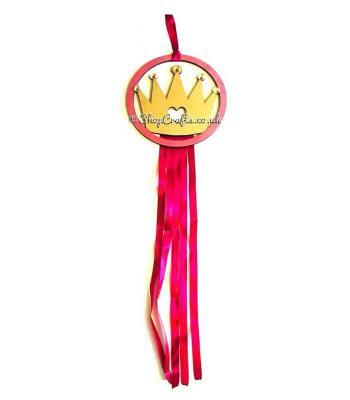 Hanging Mini dream catcher - crown version. 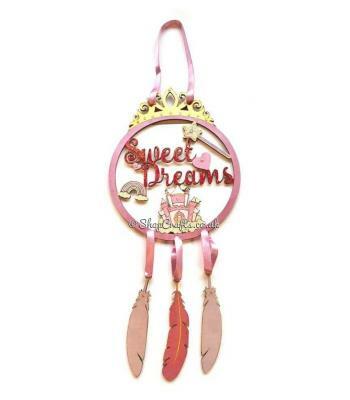 Hanging mini dream catcher - heart version.